For those who don’t know, Steve was a coach and scorekeeper for County Sports from the early 1970s up until the team disbanded. He did so much for this team and is loved by every player that ever played for them and even to this day, he will organize team get togethers. Steve is the only person that the legendary ASA Hall of Famer, Jim Galloway will trust to pick him up and take him to these functions. That’s what makes this team so special in my opinion. There have been great teams in the history of this sport. And this team was one of the best in the 60s and 70s. But, more important, I honestly don’t think that there has been a team that has been a “family” like these guys have been and Steve Barkan has forever been one of guys that had made this all possible. 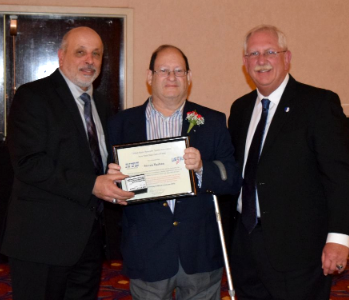 Steve Barkan is inducted into both the New York State USSSA Softball of Fame and the Long Island ASA Softball Hall of Fame. 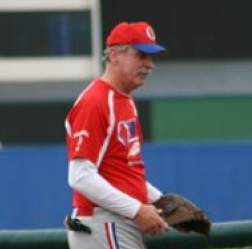 Steve’s 42-year career in softball, he has served as a sponsor, manager, co-manager and coach. In that time, he was part of teams that won eight National Championships, one Regional Championship, eleven state championships and some three dozen league championships. After three years managing a local team, in 1976, Steve joined the County Sports “A” team and Major teams. In his nine years with County Sports, they had a 2nd place finish in the 1978 Major Eastern Regional and a 7th place finish in that year’s Major World Series. Additionally, they came in 13th in the 1978 Eastern A Regional and 4th in the 1980 Eastern A regional. They won the Class A Eastern Regional A tournament and World Series in 1981. With Steve as co-manager, they won the New York B State Championship in 1983 and 14th in the 1984 Class A World Series. In 1985, County Sports/Bombat won the National One-Pitch Championship and in 1986, they had three top eight finishes in Major NIT’s. From 1988 through 1992, Steve was a coach with the Ma Grundy’s team that won five Florida State and one National Championship in the 40+ division. From 1995 through 2006, Steve served as a coach for the New York Statesmen, in the senior division. In those 12 years, the Statesmen won 5 Senior National Championships and had 8 second place finishes in National Championships in the senior divisions. From 1994 through 2013, Steve was co-manager, with Ray Burr, of Brookhaven teams that won five consecutive NY 40+ State Championships (1994-98) and approximately 30 Brookhaven League Championships. In 2014, after what turned out to be a three-month retirement, Steve managed the Silver Streaks to the Brookhaven 60+ league championship. Silver Streaks – Suffolk Senior League. With Steve Barkan as Co-Manager/Manager, this team has won multiple championships. Since 2010, in league play, they have amassed a record of 368-88, for a winning percentage of 81%. They finished in first place every year, but one. 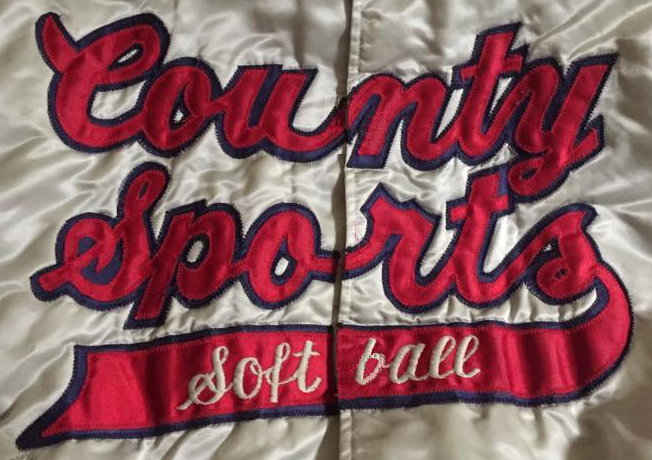 The name ‘County Sports’ was synonymous with slow pitch softball throughout the country from 1966 through 1989. George ‘Doc’ Linnehan managed the original team from 1966-1978. 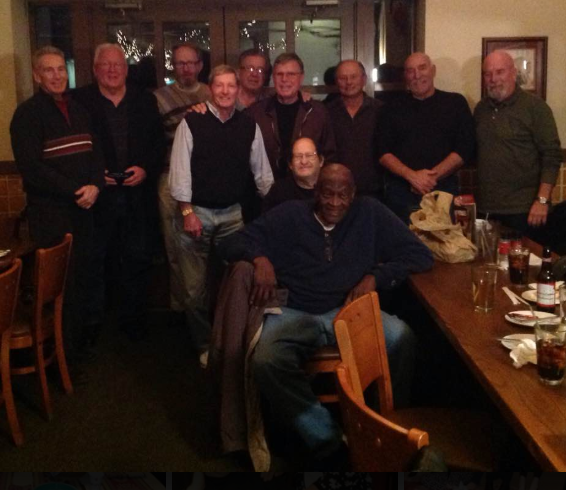 They won a National Championship in 1968 and were annually ranked among the top teams, nationally, every year. In 1976, the County Sports ‘A’ team was formed and managed by George Linnehan, Jr. The team played where the budget, which never exceeded $7500, allowed them to go. At times there were hard decisions to be made on which direction to go when it came time for the National Tournaments, these decisions were always dictated by the allocated amount of money in the team budget. 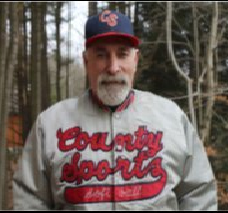 In 1978, the County Sports ‘Major’ team, managed by Doc Linnehan, was 72-19 and played in the USSSA National A Championship, in Kinston, North Carolina. The team won the winner’s bracket but lost two straight games to Dave Carroll Sports in the finals, when three key members of the team had to fly home due to work schedules. During the same year, the County Sports ‘A’ team, managed by George Linnehan had a record of 55-24. They participated in the USSSA National B tournament, in Smithtown, NY, finishing in a tie for 7th place. In 1980, the County Sports ‘A’ team was 60-20 and played in the USSSA A National Championship in Rochester, where we were 5-2 and finished in a tie for fifth place. During the season, the team was 18-6 in various USSSA invitational and qualifying tournaments throughout the New York area and beyond. 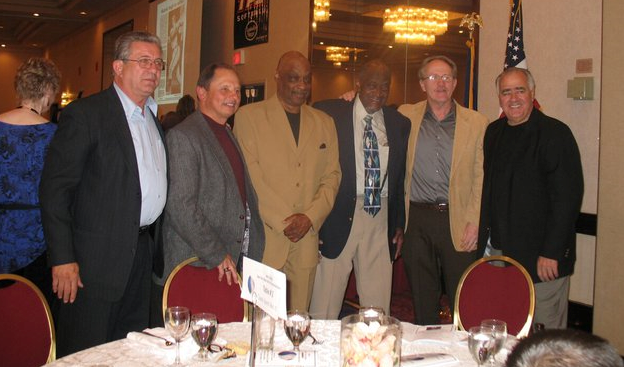 In the spring of 1981, the original team managed by Doc, disbanded and the remaining three players joined George’s County Sports team That year, everything came together. During the season, the team was 83-15, including a 46-10 record in tournament games. After winning two of their first six tournaments, with a record of 19-6, County won their next six straight tournaments going 27-4 in those games. The team won the USSSA Class A Eastern Regional in Bowie, Maryland with a 7-0 record. The team then played in the Class A World Series in Oklahoma City, winning it with a 4-1 record, and coming from three runs down, with two outs in the bottom of the 9th inning, on an error, two hits and a three run homer by tournament MVP, Gary Richter. During the 1981 season County Sports had winning streaks of 18, 15 and 14 games while the longest losing streak was Two games, occurring one time. At the end of the season in a conversation with Doc Linnehan, Richard Howard of Howard’s Western Steer called County Sports the best ‘amateur team’ in the country (the budget for the year was $6000. The USSSA ranked County Sports as the #1 team in the country in the A Division. Statistically, the team hit .554 to the oppositions .418. The team hit 608 home runs (an average of 6.2 per game) compared to the opposition’s 228. The team had 7 players with 50 or more home runs, led by New York State USSSA Hall of Famer John Davide’s 90 and Fred Stahman’s 79. The team was led in batting by Gary Richter at .673, followed by John Davide at .582 and Fred Stahman, Lou Russo and Rick Leek all at .578. 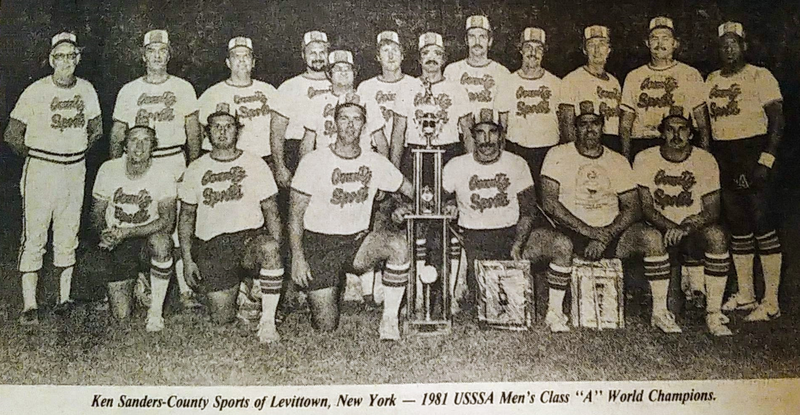 Combining power, a very strong defense and clutch hitting, the 1981 County Sports team was one that is very worthy of being a New York State USSSA team of distinction. The only manager to have teams in the finals of the Men’s Major Slow Pitch and Men’s Major Fast Pitch National Championships, Linnehan started managing in 1956 and led the Meenan Oilers to a fourth-place finish in the Men’s Fast Pitch National Tourney. In 1964, he led Local 138 of Huntington, LI to a second place. 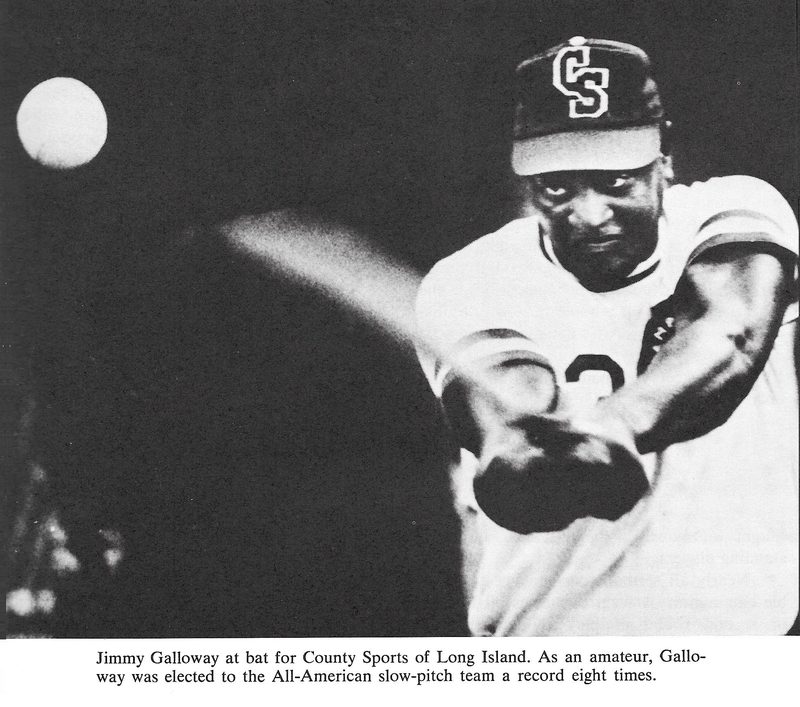 Switching to slow pitch in 1966, he led County Sports of Levittown, Long Island, NY to the national title in 1968 after finishing second in 1966 and third in 1967. His teams had a record of 55-23 in ASA national championship play. In 1965, he managed the Fast Pitch All-Stars and in 1968 managed the Slow Pitch All-Stars. A native of Queens, NY, Linnehan grew up in Jamaica, playing baseball in the Queens Alliance Baseball League in the 1930s before attending Palmer Chiropractic College in Iowa. After opening his County Sports Center, he continued his chiropractic practice at night for several years and began playing and managing softball teams. He died in 1990 at age 74 and was one of the most respected and well-liked people in the sport during his career. 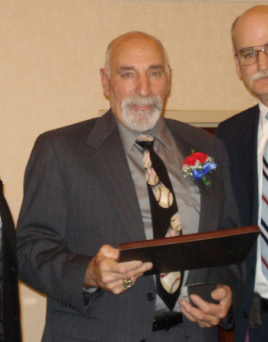 He also is a member of the Long Island ASA Hall of Fame. 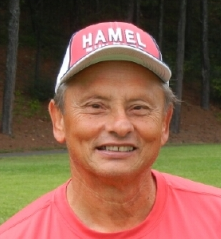 He was forever a constant volunteer in efforts to develop the sport of softball and had frequently conducted clinics for both youth and adult players. 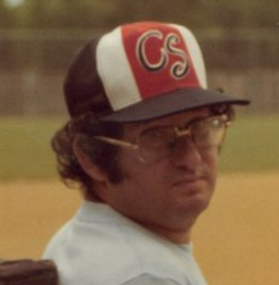 “Doc”, as he is known served as the advisor for the ASA film, “Softball … Playing it Right” and took part in coaching clinics in the Soviet Union in 1977. 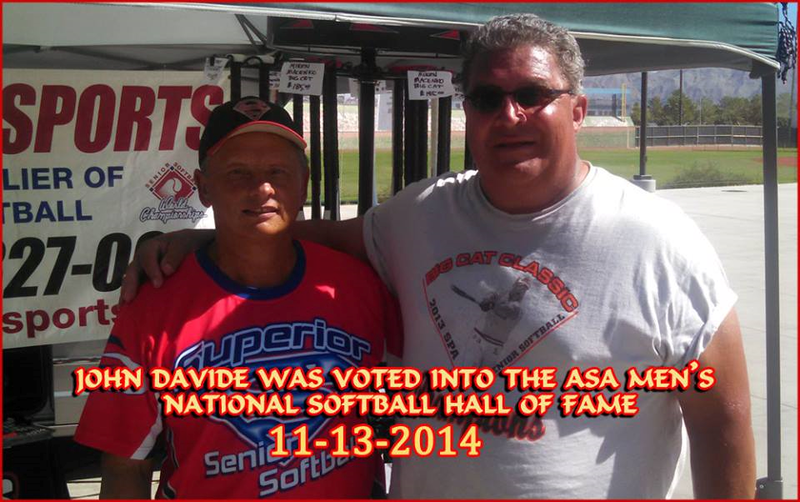 In a time where teams played fewer than 100 games a year, John Davide was a staple of the County Sports softball organization for many years. Known as an intense competitor, Davide was well known throughout the Men’s Major Slow Pitch world as an outstanding shortstop and a feared hitter. Many teammates, coaches and opponents often referred to him as the best home run hitting shortstop in the game. He left little to doubt, often hitting anywhere from 70 to 100 home runs every year he played. Davide was a member of several ASA All-Tournament and All-American squads while capturing numerous Tournament MVP titles throughout his career. His playing accolades didn’t stop at the Major Slow Pitch level as he continued his playing career through the Master’s and Senior Softball divisions. John is pictured above with the legendary Mike Macenko. In 1977 Hank played with the New York Clippers in the Pro league. From 1978 to 1988 he played with County Sports and legendary Jim Galloway. Hank was also playing Open and Industrial during the same timeframe. Hank played Senior ball with the New York Statesmen for a few years, then moved to Las Vegas and played with his friends from New York with Skinny Dugans. He eventually moved on with the Mavericks, then Dan Smith, Kids 4 Ever, GSF, Blue Jays and now OMEN. Hank played in three age groups last year, 55, 60 and 65. 50 years in softball. 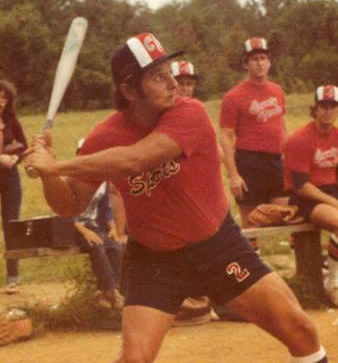 Gary Started Playing softball with the famous County Sports team back in the 70’s. He entered the senior ranks with the New York Statesmen one of the best teams in the Northeast, along with Thermco, Connecticut Sportsplex. Gary started his career as a left fielder and as the injuries took their toll, he now leads his teams as a pitcher. During his softball career he has won over 75 world titles, 30 All world nominations and 8 MVP awards. In 1988 John started playing for Ma Grundy’s out of Miami. He was selected for four All State teams and two All World teams in 1989 and 1992. In New York he played for K-Tel 40 Masters and again made four All State teams. Senior ball began with the New York Statesmen from 1997 to 2005, with a brief stop with Dan Smith in 1999 and Thermco in 2002. Fergies and the Mavericks of California were some teams that John also played for between the years of 1997 and 1999. From 2006 to 2009 John played for Connecticut Sports Plex. During those years he also played in the ’60 division with Turn Two. John is presently playing 60s and 65s. John went on to achieve All-Tournament status with each of those teams many times. Steve Started out as a young player with the famous Country Sports team from Long Island. Moving to Florida in his senior years he played with the South Florida Titans, Players Club, Participating in Florida Half century and USSA and SPA and ASUSA. During the last 10 years he has played with the Florida Heat, AL Estes and Team Florida winning 5 national Titles 4 Tournament of Champions Titles. He has been selected to 22 All world teams and selected as MVP 4 times during this period. 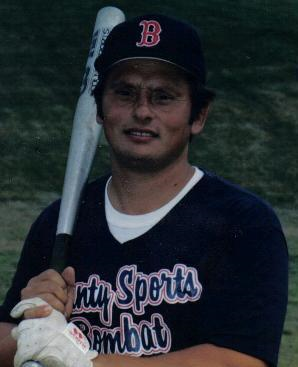 Spanning a 35-year career, playing USSSA open and Masters softball, John Davide played with four Major softball teams (County Sports, York Barbell, Bombat and Computerland) and seven major Masters teams (Ma Grundy’s, Dan Smith, NY Statesmen, Fergies, Mavericks, Turn Two/Recko, Thermco and Sports Therapy). In that time period, he played in eleven National Championship tournaments, winning six USSSA National titles. While participating in these tournaments, John made six first team All-Tournament selections as well as first team selections in both Eastern Regional Tournaments that he participated in (1978 and 1981). He also played in three World Series’ (1978 Major, 1981 A and 1986 Major), and two USSSA Church World Tournaments, in 1979 and 1980. He appeared on the USSSA National Major Player list from 1981 through 1987. In 1983, John was MVP/First team All-Tournament, in the NY State Class B championship. In 1985, he participated in the Steeles’ Major NIT; in 1986, he participated in two Major NIT’s (Petersburg, VA and Salt Lake City, UT), where he was an All-Tournament selection. Playing in the Masters Division, John was a member of two teams that won ten state championships in a span of eleven Seasons (Ma Grundy’s, Fla won 5 titles in 6 years and K-plan Tel, NY won five consecutive state championships). During that time, John was selected to five all tournament teams with an MVP selection. Playing locally (Smithtown and Brookhaven Leagues) John has played on 29 league and playoff championship teams. In his playing career, John has won many homerun, RBI and MVP awards, while amassing well over 1100 homeruns and approximately 3500 RBI’s. 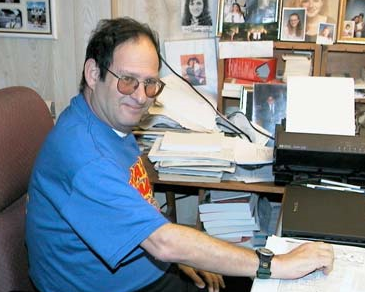 Gary was born and resided in New York City for 22 years. He played baseball and football for Holy Cross High School, winning All-City Award nominations in 1968 and 1969 for baseball. He attended St. John’s University on a baseball scholarship. He was also drafted by the New York Yankees in1969, but chose to attend college. He has been playing softball since he was 14 years old. In 1967 his team, Queen of Angels Royals, won the NYC Softball Championship. In 1969 the Queen of Angels Royals won the USSSA Church Worlds in York, PA. Gary was the MVP, Homerun Champ, and led in batting average. He then moved up to “big time softball” with County Sports. 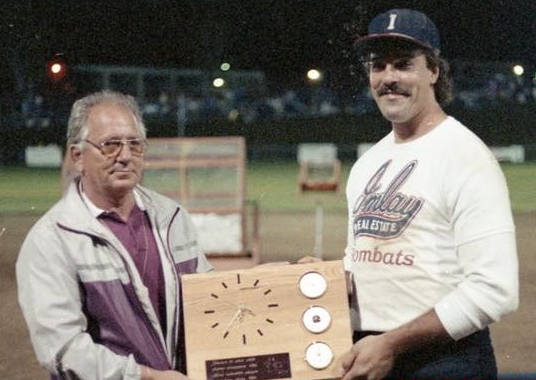 In 1981, County Sports won the USSSA “A” National Championship, with Gary being named MVP and the Best Defensive Player. He played four years in the APSPL (Pro Softball League) with the New York Clippers and Trenton Statesmen, making two All-Star appearances and batted in the top five, three of his four years in the league. In 2001, he joined the Senior Softball Circuit, as a pitcher for Thermco. 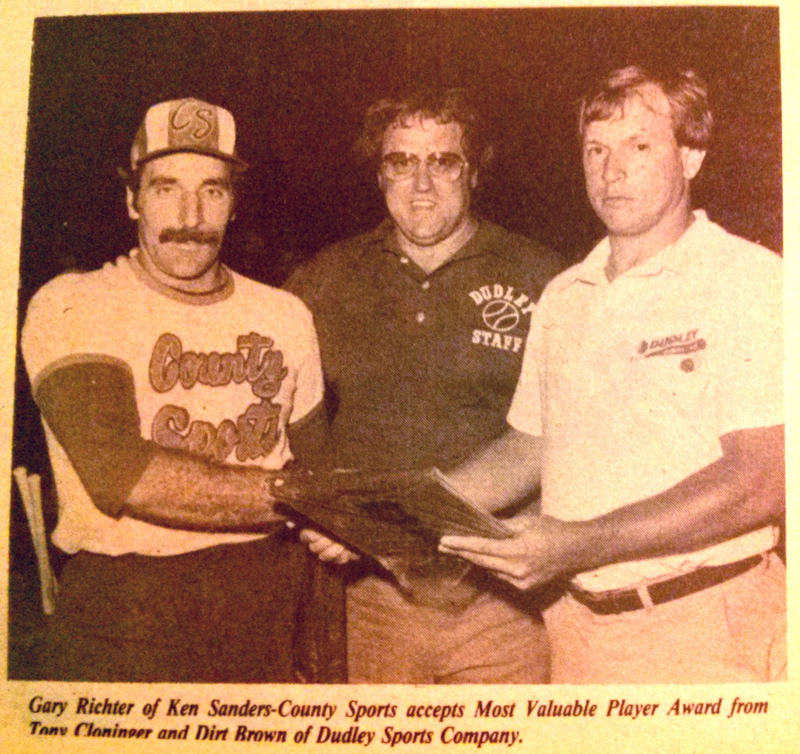 In 2004, Thermco won the USSSA Nationals, and again, Gary was named MVP. Gary is married to Maureen and they have seven children; Jason, Christopher, Peter, Allison, Michael, Richard and Robert. He currently lives a few miles from Cooperstown, NY. Gary has had his own plumbing business for over 35 years. Fred is a lifelong resident of Long Island, where, with his wife Bonnie, they raised their three children Edward, Melissa, and Christopher. He played baseball and basketball at Sachem High School and Farmingdale College where he won All League and All Conference Awards respectively. 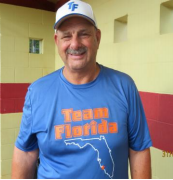 Spanning a thirty-nine year career, with USSSA softball, Fred has participated in forty five qualifying tournaments at four different levels including World Series, Nationals, Regionals, and State. At the Major Level, the teams he played with included Bombat/County Sports (N.Y.), Superior/Apollo (Conn.) and Medicine Shoppe (Miss.). In addition, he participated in thirteen Major NITs where he was selected for two All-Tournament teams. Overall, he has won twelve Most Valuable Player Awards, eleven All Tournament Selections, and three Defensive Player Awards, all at the Major, A, B, and C levels. In 1986, he began playing on the Steamfitters Local Union 638 Softball Team, where they subsequently won the USSSA UA National Tournament in Cincinnati Ohio, five out of six years from 1987-1992. During that time span, Fred received the Most Valuable Player Award three times. Longtime Centereach resident who was an outstanding baseball player, as well as coach, before beginning a distinguished softball career. He was a two-time All-American at Buffalo State, leading the nation (small college division) in hitting in both those years. He was inducted into the school’s Hall of Fame in 1996. He went on to be the head coach at Dowling College for 13 years (1983-95), where he guided the team to their only NYCAC tournament championship in 1991. John has been a dominant competitive softball player for over 20 years. 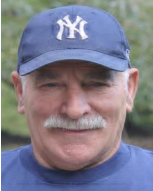 He is member of both the Metro-Long Island Amateur Softball Association’s and the National Senior Softball’s Halls of Fame. He is also a retired teacher in the Sachem School District. 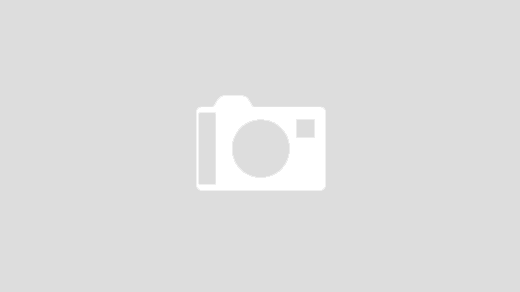 Sam won numerous Nationals in Dayton and Detroit back in the 1980’s and 90″s. In his 60’s now, he is regarded as one of the all-time greats. Sam used to have crowds stay just to watch him pitch as he was an innovator on some of the most unique USSA pitches ever seen in police softball. Sam is also in the New York USSSA Hall of Fame, the Senior World Series Hall of Fame, and the Senior Player’s Association Hall of Fame. Hank won numerous nationals in Dayton and Detroit back in the 1980’s and 90″s. Hank is in his late 50’s and is one of the all-time greats. He played with the Nassau teams in the early 70’s and with Metro early 80’s to 92. Hank hit for power and average. If you played against him, you knew you would probably lose. Hank is also a member of the New York USSSA Hall of Fame, the Senior World Series Hall of Fame and the Senior Player’s Association Hall of Fame. Bill Brown coached at Berner High School in Massapequa. He was selected as the Nassau County High School Football Coach of the Year by Newsday three times. All three times, his teams were undefeated. Len Meckalavage coached at Roosevelt High School and he was selected as the Nassau County High School Football Coach of the Year by Newsday twice.